When we recently visited granddad's house I noticed this very tatty old stool sitting lonely in the corner. 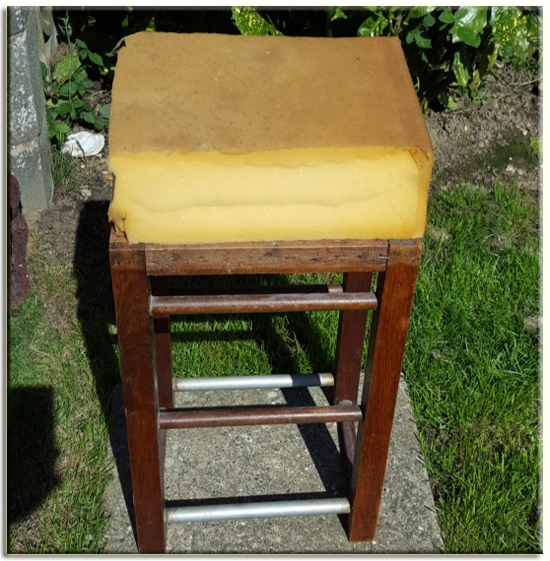 I asked granddad what his plans were for this old stool and he told me that he'd bought it at the car boot and taken off the cover and put on some foam with the aim to add new material, but that's as far as he'd gotten with it and now it sat slowly making it's way further into the corner of the room. Always looking to enhance my upholstery skills I asked if I could finish off the seat for him and to my delight he said yes. 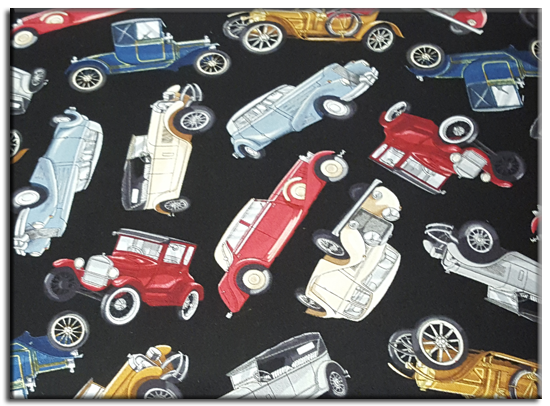 Now, as this was going back to granddad, who is a lover of cars and owns a vintage himself I thought what better fabric to cover the stool with then this lovely piece I purchased off eBay. 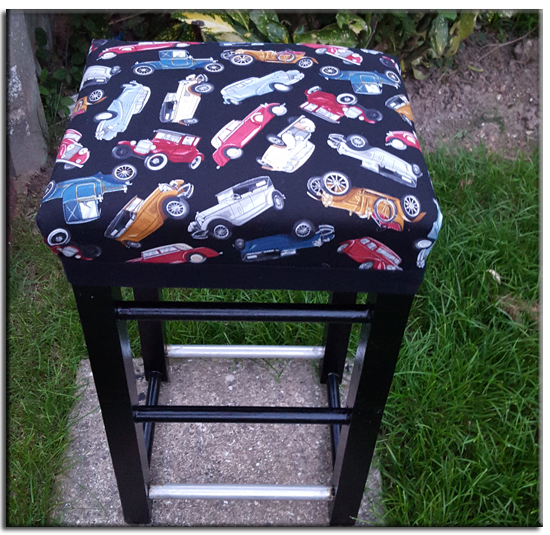 I repainted the wood black to match the material and then took off some of the foam seating and added some wadding to give it an even top. Armed with my beloved staple gun I worked my way round the seat and then had a rummage in my newly organised ribbon drawer for something to cover the staples with. Nice thick bit of black woollen ribbon worked wonders. All done and I do love it! Not a Wizard or Time Lord in site but was very well received by granddad. I'm rather pleased I painted the wood, I think it turned out rather nice don't you? 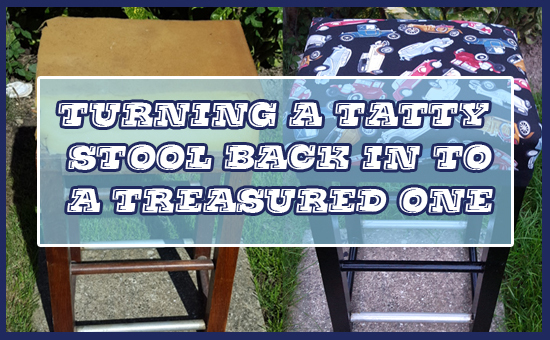 gosh what a tatty old stool that was and how fabulous it looks now! 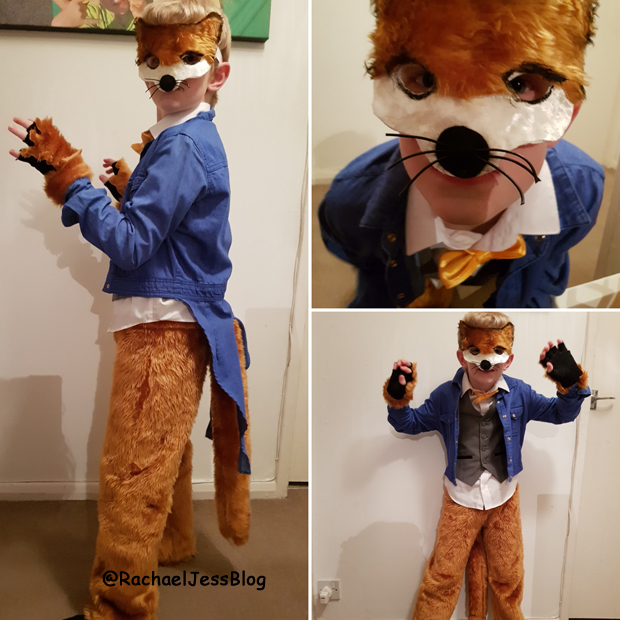 It was a bit shameful looking wasn't it.